The FE 100–400mm f/4.5-5.6 is the first lens in Sony’s armoury to reach beyond the 300mm mark, and that is made for E-mount full frame cameras. Shridhar Kunte shares his experience. The lens was announced alongside Sony’s flagship camera, the A9. This was much needed as there was no lens that reached the 400mm focal length. Moreover, considering the incredible shooting speed of the A9, as well as the resolution count of the other A-series camera bodies, there were no optics available that would compel photographers to use Sony’s system to shoot sports, action and wildlife. 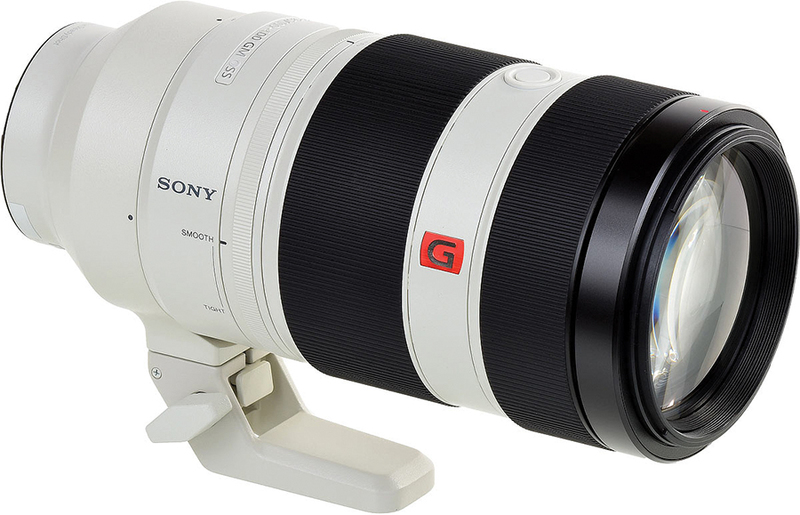 The 100–400mm is the fourth lens to join the high-end G Master series. The lens is filled with plenty of glass. It contains 22 elements in 16 groups, which includes one Super ED and two ED glass elements. This combination of elements helps to suppress chromatic aberration throughout the entire zoom range, and helps to deliver sharp images with high resolution and contrast. Meanwhile, Nano AR coating minimises flare and ghosting. The FE 100-400mm f/4.5-5.6 GM features optical image stabilisation, which operates in two axes, and when coupled with a body with built-in stabilisation, the combination delivers 5-axis compensation. The nine blade iris system offers maximum and minimum apertures of f/4.5 and f/22, at 100mm, or f/5.6 and f/40 at 400mm. The minimum focusing distance is 3.22 feet, at which the lens has a magnification ratio of 1:3.5. This is really useful when photographing in macro. While focusing, the overall length of the lens remains the same, thanks to the internal focusing system. This is the first Alpha mirrorless lens to offer dual focusing groups which work simultaneously. This combination of a double linear motor and Direct Drive SSM allows the lens to focus at a brisk speed. The fast focusing speed of this lens, tracks and locks on to quick moving subjects with precision. When I took the lens out of the box, my first impression was that the built quality matched the similar offerings from Canon and Nikon. The lens is dust and moisture resistant, and feels professional all the way. I used the lens on the Sony A9 body. The combination is pretty hefty and requires some practice to use it without external support. However, as I spent more time with the lens, I was able to capture some good images, while hand-holding the lens. I felt that the combination is a bit front-heavy, and this was more evident when I mounted the lens on an APS-C camera body. At 1395g (without the tripod mount), this is a fairly heavy lens to carry around. There are two main rings on the lens barrel. Close to the front element is the focusing ring and closer to the body is the zooming ring. The zooming ring has a rotation of about 90°, in which the zoom changes position from 100mm to 400mm. The third ring is a really tiny one that sits between the camera body and the zoom ring. It controls the amount of friction applied to the zoom ring, which in turn helps a little to overcome the lens creep. When it comes to Sony’s G master lenses, it is all about the built quality, quality of the optics and focusing speed. In all the three departments, the lens did exceptionally well. The AF operation is snappy and silent. The lens exhibits fantastic sharpness across the entire zoom range. As a starting point, while shooting a local football match, I began photographing in the Aperture Priority mode, at f/8, and kept the ISO at a figure where I was able to get a shutterspeed of 1/500 sec. As the light level dropped, I moved to f/5.6. After examining the files in Photoshop, I noticed that there wasn’t so much of a difference in the images, in terms of sharpness. 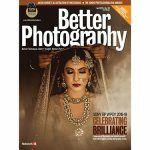 The best results were achieved around f/8 and f/11. The best optical performance on all optical qualities was achieved at 300mm focal length. At 400mm, the centre sharpness is very good, but corner sharpness starts to drop a bit. After inspecting all the images captured, I was not able to find any kind of distortion or chromatic aberration. The quality of the out of focus areas is very smooth and pleasing. The OSS system worked really well, and I was able to capture reasonably sharp images with a shutterspeed of 1/15 sec, at 400mm. Sony’s range of lenses was lacking a telephoto lens, which would support the company’s high-speed and high resolution cameras. With the introduction of the FE 100–400mm f/4.5-5.6 G Master lens, I felt that Sony is on the right track. This will help the company to compete with Canon and Nikon at the highest level of sports and action photography. 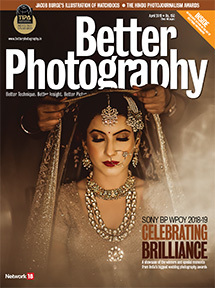 As there is no other option available from third party lens manufacturers, Sony has priced the lens a bit steeply, at Rs 1,99,990. However, this is the best performing lens when coupled with the A9, and I am certain that it will not let down the owners of the Alpha 7 series or the Alpha 6000 series. The focal length and the compatibility to use it with teleconverters makes this a dream lens, especially for sports and wildlife photographers. Who should buy it? Sony users who enjoy wildlife, sports and action photography. Why? Apart from its excellent optics, build, and AF, there are no other choices for Sony full-frame mirrorless cameras.